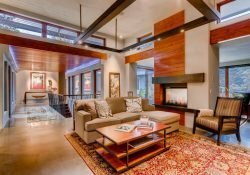 You are here: Home / Denver Relocation / Denver Relocation: Rent or Buy a Home? 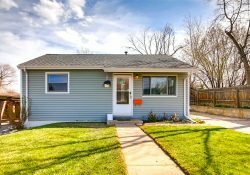 Denver Relocation: Rent or Buy a Home? Denver relocation buyers considering renting a Denver home should discuss the possible purchase options too. “We are going to rent until we get to know the area”. I’ve heard that from many Denver relocation transferees over the years. That’s especially true when folks are making their first big move away from a long-time home. Some relocation home buyers take it all in stride. They know a good Realtor can show them all the best areas in a 1-3 days. They’ve done it before and they know what to expect. First time relocation buyers are often more nervous that they might make a mistake. Those clients sometimes consider Denver relocation rental homes. Well, in my 35 years selling homes to Denver relocation buyers, I’ve only run across one relocation buyer who felt they made a mistake and had to move again. Fortunately, I was not their Realtor when they bought the first home. They had another, inexperienced Realtor who never showed them the better neighborhoods. So, I was able help them move to a better home in a better neighborhood. The rest of my 1100 relocation clients have been happy with their decision to buy right away. There are some good reasons to rent a home when moving to Denver. The best reason is that you have to. Perhaps, you couldn’t qualify for a mortgage loan for a variety of reasons including a recent foreclosure, short sale or bankruptcy. Folks often think they can’t qualify for a home loan just because the spouse doesn’t have a job here yet. Not true! Some lenders have “trailing spouse” programs (sounds awful) that will impute income to a spouse who doesn’t yet have a Denver job. So, always talk to your Realtor or a good mortgage lender to find out if you will qualify. Some people moving to Denver will only be here for a couple years on a short term assignment or contract. The general rule of thumb is that it would be advantageous to buy if you are going to be in Denver for at least 5 years. Or, maybe you plan to keep the home to rent to others when you leave. Denver rents are soaring through the roof with annual increases in the 6-12% range for single family homes. Fixed rate mortgages will keep payments lower than rents. When some transferees or new hires move to Denver for work, they can be worried that the new job might not work out. They often rent in case they don’t like the new job and want to be able to move on to another job. The best reason to buy a home is that there’s a great supply of good homes for sale. Variety and condition is much better than homes on the rental market. Location is often better too. Vacancy rates for 3 bedroom, single family homes are less than 3% for all home rentals. Larger homes are even more scarce on the rental market. So, there are fewer rentals to choose from and they usually are not in top condition. Often, they are not well located either. Expect to see a lot of homes on busy streets or in less desirable neighborhoods for rent. You don’t have to choose now whether you will rent or buy first. Why not look at both options. 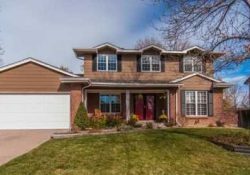 Check out homes for rent at Craigslist and homes for sale at All Denver Denver Real Estate. You can even look at both rentals and for sale homes. That way you can see what the “real world” alternatives are. Supplies of homes for sale vary widely by location and price range. But, usually homes for sale have been fixed up and show pride of ownership. They are usually in better locations. And, the monthly payments are actually cheaper than rents in most cases. That’s because interest rates remain at near historic lows. When interest rates rise to 5 or 6%, house payment may again be higher than rents. But, that’s not the case right now. Will rents in Denver ever decline? That’s not likely. More folks continue to relocate into Denver than leave so demand has been increasing. Business is booming. Unemployment is below the national average. Our city has tremendous entertainment and recreation opportunities in the city and the nearby Rocky Mountains. Not only are mortgage payments lower now than rents, they are also tax deductible. Interest payments and property taxes usually comprise over 90% of the initial house payments. That is all deductible from federal and state income taxes. It’s like the government is helping to pay part of the mortgage payments. Do Relocation Realtors Handle Rentals? 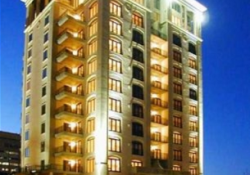 Rentals are so scarce that landlords are generally not paying rental commissions. So, most Realtors don’t show rental homes. 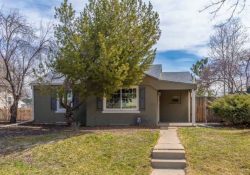 However, we at All Denver Real Estate do assist those relocating to Denver without any charge. 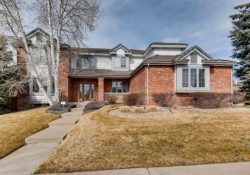 We will provide lists of rental homes matching your criteria after we consult with you over the phone or in person at our Denver Relocation Office at The Kentwood Company. We will offer to show you similar homes for sale and let you decide which best meets your needs. There is no cost for that service. 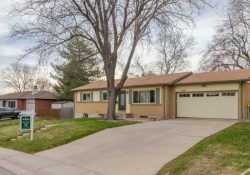 Or, we can also provide a rental showing service offered by DenverRental.com. The cost for that service is fee based but many national relocation companies or corporations will pay those fees. Please ask me for details that fit your situation on the form below. Sure, we’d rather sell you a home and get into a great home at an historically great interest rate before rates go up. But, we’d rather help you now into a rental home if that’s your choice. Either way, we’ll layout the options and let you decide what’s best for you and your family. After all, we’ve been helping people move to Denver since 1978. Use the form below to contact me for information tailored to you and your family’s needs.